Over the long-term, Timberland provides enhanced portfolio diversification with returns that have been far less volatile than most assets, therefore producing high relative risk-adjusted returns. 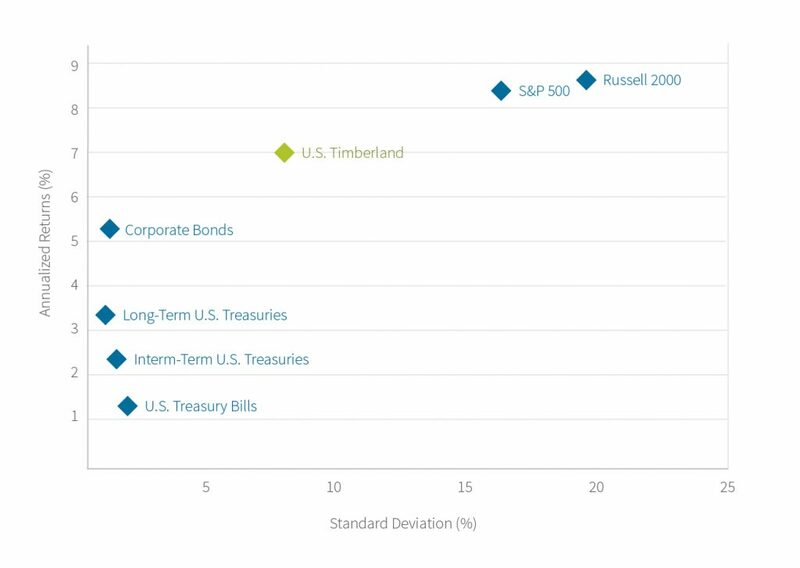 From 2003 through 2017, the NCREIF Timberland Index, with a standard deviation of 6.4%, was substantially less volatile than the 15.8% and 19.2% experienced by the S&P and Russell 2000, respectively. Timberland’s risk-adjusted return, as measured by the Sharpe Ratio, was 0.78, versus 0.39 for the S&P 500.